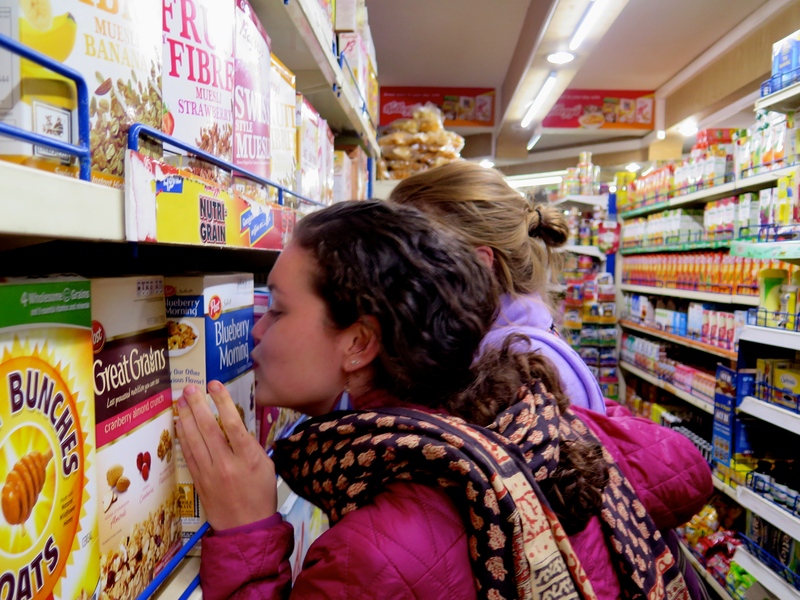 NFLC continues to be a constant journey of exploration, but for the Cornell students, week three has also been a lot about settling in. Yes, it is now natural for us to eat spicy sambar with our (right) hand for breakfast, wiggle our heads side to side to indicate approval (instead of nods), and do laundry in buckets. 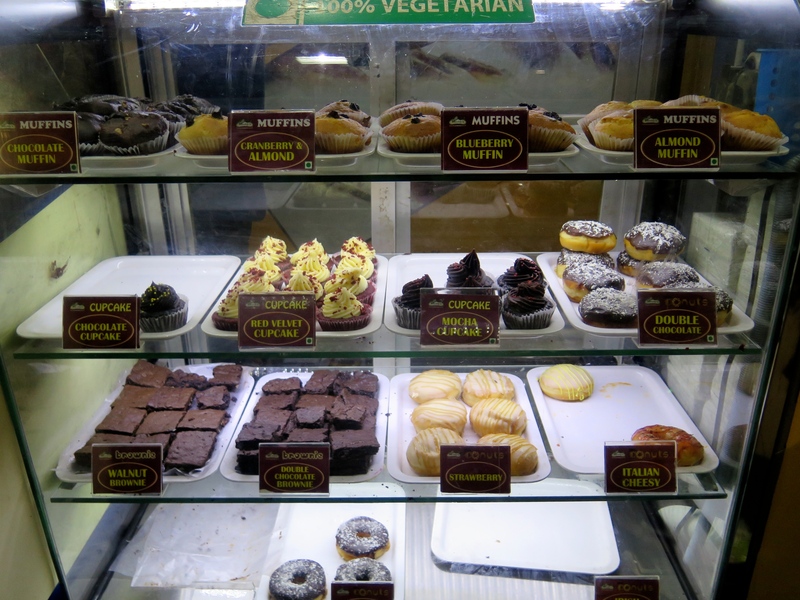 But we have also discovered places around the Nilgiris that made use feel closer to home: the chocolate shops, bakeries, ice cream stand with soft-serves and red velvet cupcakes, and a small grocery store called “Modern” which sells peanut butter as well as cereals! 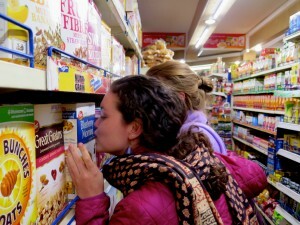 At Modern, with all the familiar cereal brands! The U.S. isn’t so far away after all! For the Keystone students, this place was already familiar, yet they have also discovered dimensions of the place that previously seemed unapproachable to the common men. 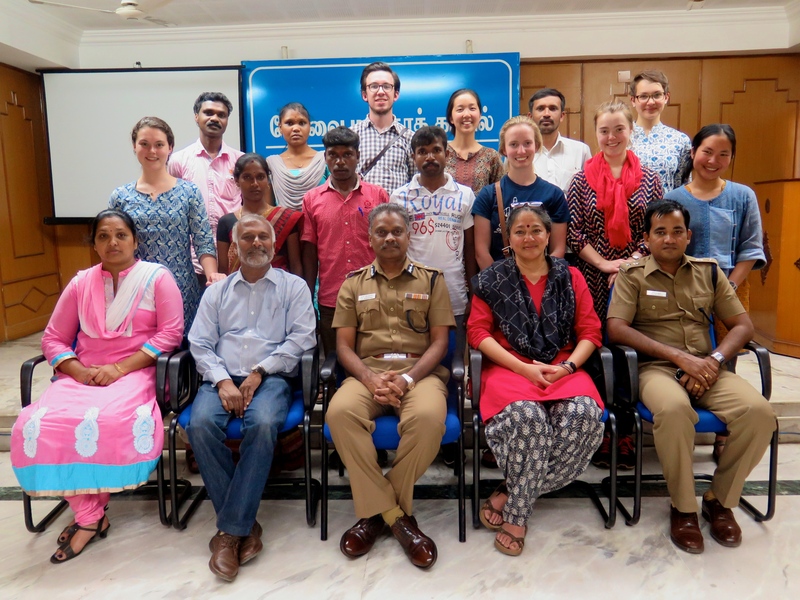 As ‘Governance’ is the theme of the week, our class has been able to go meet different governing officials of the area; the Nilgiris District Collector, the Coimbatore Police Commissioner, and the Wayanad Forest Warden. 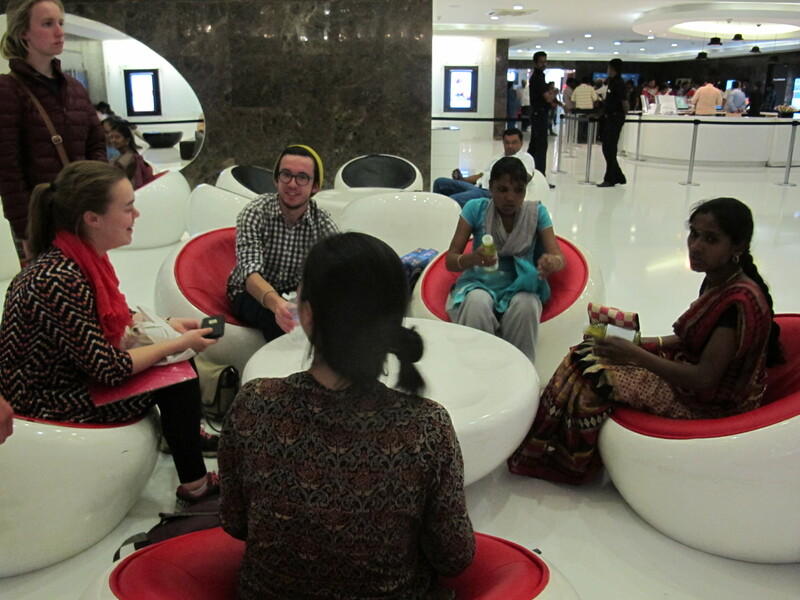 We finished our trip to Coimbatore with a trip to a very large mall to see a Tamilian movie, and just going up the escalator was a new experience for many of the Keystone students. 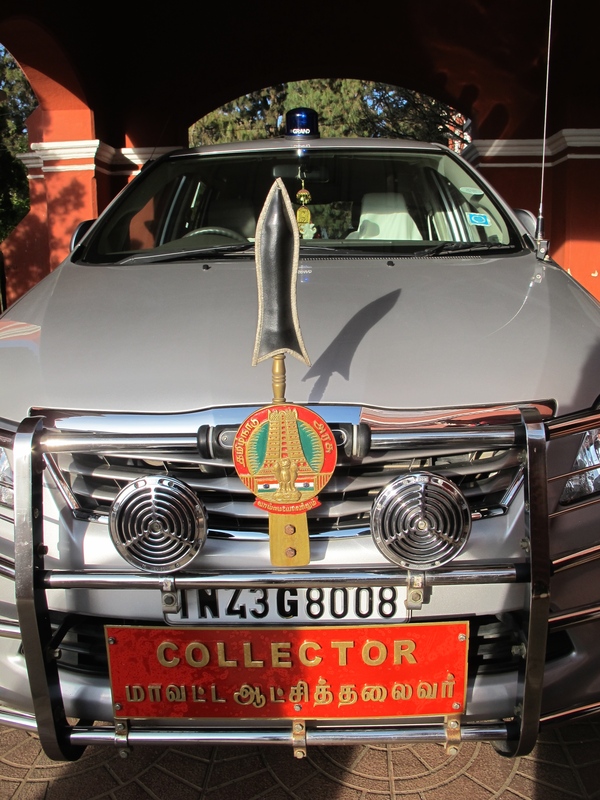 Some governmental officials own a car that indicates their status and authority. 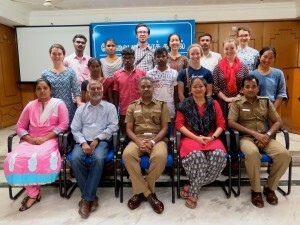 Our group photo with the Police Commissioner of Coimbatore City, who has been so kind to meet with us! Having been in a small community for just over two weeks, I felt overloaded by all the new encounters. For the Keystone students who came from even tighter knit communities, this might have been the greatest influx of modernity and westernization into their lives. The experiences of being placed in front of so many authorities or just seeing a film with so much “glamor” as they call it here, can be fascinating, but at the same time perhaps is also unconsciously be-littling. Even to my untrained eyes, with their petite builds and beautiful traditional clothing, our Adivasi friends presented a contrasted the rest of the westernized Indians in their shorts and t-shirts at the mall. I wish I could just blindfold them from all these temptations to change, and keep them in their villages where life is already beautiful (or so I romanticize). Yet I know that It would be unrealistic to turn a blind eye on all these new influences which are right on our door step, they are a crucial part of reality too. I think learning how to place oneself appropriately in these situations with a critical mind is of utmost importance. How can we confront modernity without letting go of our roots and retain our dignity? As Cornell students what is our role with respect to our partner Adivasi students? What should be our role? I am conflicted whether I should get another scoop of ice cream on our next trip to Modern, or if that is just a roundabout way to show my support for globalization? Is globalization even a bad thing – or just another natural phenomena that all communities must learn to co-exist with? I guess as I became more familiar with the place, I have certainly become more cynical as well. There remain no conclusions to these questions as we continue to explore, and yes, it is only week three. This entry was posted in Samsuda Khem-nguad. Bookmark the permalink. 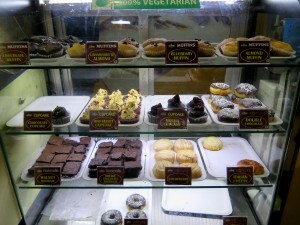 Thank you for this view from the window of your course run in the Nilgiris. I am an Indian, currently studying in UK. As a person brought up in rural, colonial India, moved to becoming an ‘urban’ Indian and now an Indian in UK, the meanings and interpretations of being Indian keep changing and the onion metaphor is so apt. I am full of the same questions and wonderings as many in these blogs. Another one that follows me constantly- The magnitude and rush of world changes carries us with such a force that I wonder- finally, do we have a choice? The optimist in me says yes….the smallest contribution is a step in my ‘right’ direction.